Is Coaching or Counseling a better option for you? Counseling is useful for individuals or couples working through healing wounds of the past. Whether it's wounds from your childhood or resolving past pain in the relationship, counseling is a useful platform to begin the rebuilding process. However, if you are looking for a resource that is geared toward helping couples align toward a bigger future, coaching may be a better option. My coaching approach is built on one simple philosophy: it take TWO extraordinary people to create ONE extraordinary relationship. In entrepreneurial relationships, it is easy for one partner to feel lost in the gravitational pull of the entrepreneur's orbit. At a certain point, they begin to question "what about me? What about my passion and purpose? Where's it all going to fit?" Those are some of the questions we address through our work together. 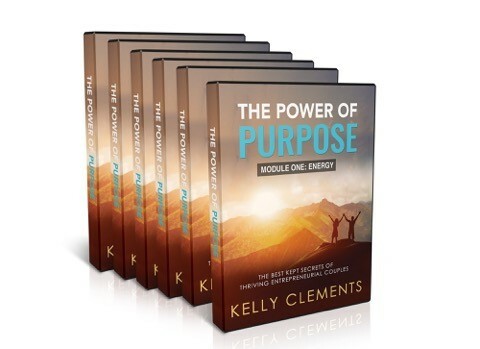 If this sounds like an approach that would help you find more personal purpose and fulfillment, there are three options for you to consider. Personal Coaching: My one-on-one program is designed to give individuals or couples personal attention as they work toward creating a bigger, shared future. These calls happen via telephone once per week, every week for 12 weeks. The investment starts at $2,500 for individuals or $4,000 for couples per quarter. Group Coaching: This is a community exclusively for women entrepreneurs. As driven, ambitious women, we experience a unique dynamic in our relationship that can sometimes leave our men feeling...shall we say, resigned. My coaching groups strike a perfect balance of business and relationship strategies so we can stay focused on growing our business while we work on empowering our men to be The Man we so desperately desire. This investment is $750/ quarter and includes weekly (zoom) video conference calls plus call recordings and a private Facebook group. Online Program: For the wives of entrepreneurs. Best for those wishing to explore the content at their own pace and in total privacy. My online program is my best content and strategies packaged in bite-size, actionable videos that share strategies that will help you understand where to start on your search for more purpose. It will reveal the best practices of thriving entrepreneurial couples and reveal where all the dormant connection lies in your relationship. This investment is $447 and gives you lifetime access to the video content. Click below to schedule a complimentary 30 minute call to see if we are the right fit for one another. Online Program: For wives of entrepreneurs. Best for those wishing to explore the content at their own pace and in total privacy. My online program is my best content and strategies packaged in bite-size, actionable videos that share strategies that will help you understand where to start on your search for more purpose. It will reveal the best practices of thriving entrepreneurial couples and reveal where all the dormant connection lies in your relationship. This investment is $447 and gives you lifetime access to the video content. Presale with Early Bird pricing available soon.